Safe to say at this point that the cloud network is truly driving the next level of innovation in business technology. 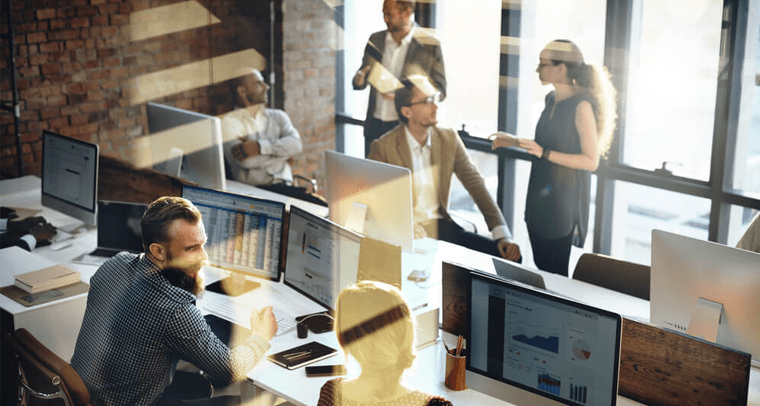 Between UC solutions, Hosted PBX providers, and team collaboration platforms, teams are more connected than over, and collaboration is powering decisions to be made quicker. One of the largest shifts we’ve seen has been the adoption of these collaboration and team messaging platforms. With Slack, and its list of alternatives, quickly making way into thousands of offices there’s no wonder that even the giants like Cisco are turning to the collaboration market. Just as we took a look at the top UC trends of 2017, we predict that collaboration and team messaging industry will continue to grow as well, building this trend of collaboration in the virtual office. We previously took a look at how powerful integrations are, like how they can be utilized to manage remote workers in Slack, or how APIs can provide a true omni-channel experience for customers. In fact, the power of integrations comes from the use of APIs, allowing us to bridge together multiple platforms. Whether that comes down to connecting your CRM into Slack, extending your platform with new features like screen sharing, or building your platform to work seamlessly with the set of otherwise independent tools your team already utilizes, integrations help make work simpler. 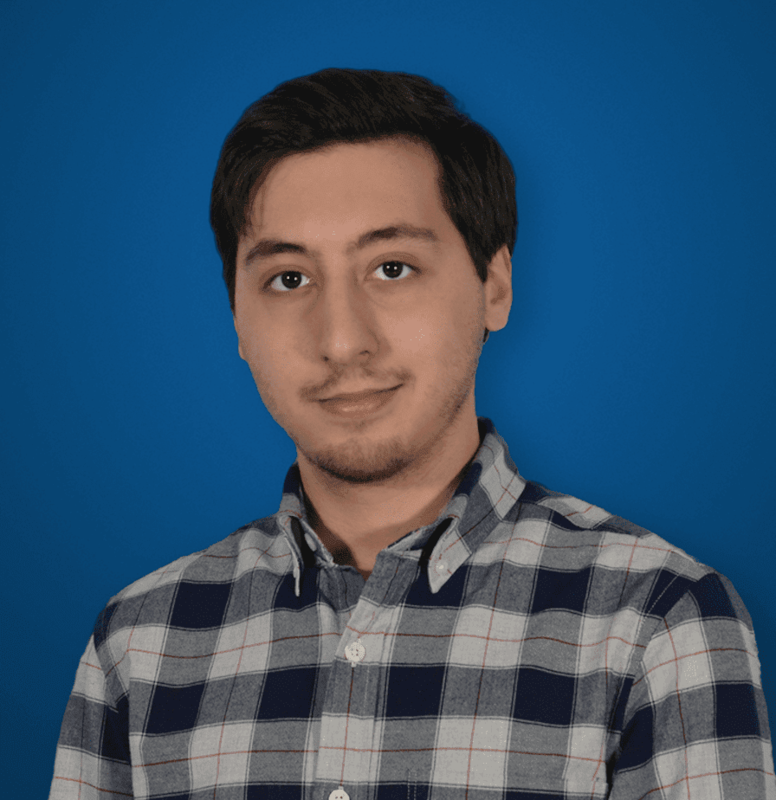 Previously, combining two apps and pieces of software would be a fairly monumental task for developers to take on, and the end result might be less than ideal. But integrations and ready to use APIs allow almost anyone to link together a chatbot that reports their project progress in Slack. We had also touched upon this in our UC trends, and this is such a massive one that it easily crosses over. The boost in productivity is not one to underestimate, in fact one could argue that integrations are helping to drive the digital transformation we are seeing in the office. With so many tools connected, a business can easily expand their platform to include anything they would need to help make decisions, and get work done. Best of all, that can all be included directly in your chat or collaboration platform. 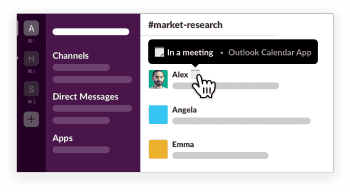 Slack is more than just an email replacement. The Internet of Things is poised to another massive technology trend we will see in 2017, and it is one that could very well make its way into our collaboration and messaging apps as well. For those unaware, the Internet of Things is simply the idea of connecting all our devices to one network – think of a smart home. You can alter your heat or air conditioning, change lighting, lock doors all from your phone or tablet. Now bring this into the business world, and the possibilities are almost limitless. A factory fitted with sensors and monitoring hardware along the process line allows workers to receive constant updates, if one machine gets too hot or might break down a temperature warning can be sent over Slack to that manager to address the issue. The internet of things would allow the integration of hardware into our collaboration apps and daily work lives. The chatbot would then send out invites and notifications, and ping a router, or network node in the conference room to apply permissions. Now, only those on the collaboration team will be allowed into the meeting room – and the system will track the location of their mobile phones to see who is close by, or who is late to the meeting. Connecting our hardware and software devices opens up a huge new case for integrations, development and simplicity in our daily work with an increase in collaboration, real-time information data or statics, and even communication. I’ve been discussing a bit recently how chatbots will very soon, if not already, make their way into customer service. Acting as the first line of defense for agents, chatbots can help solve simple customer inquiries, and escalate those necessary of an agent – this helps keep your agents load minimal, and allows them to focus on only the more complicated issues, improving both the customer’s experience and agent’s efficiency. However, the power of chatbots doesn’t just stop there. Not only are chatbots the next step in customer service, they are also the next step in improving our productivity. Thanks to integrations and APIs, we can allow chatbots to live directly in our apps. And thanks to the intense development and research being dumped into artificial intelligence and machine learning, we will soon have chatbots act as our own personal assistant. We’ve all seen Siri, Microsoft’s Cortana, Amazon’s Alexa and Google Home, and all are examples of AI working as a personal assistant to help make our daily lives easier. Tasks can range from a simple weather update, to searching directions or movie times, but in reality the sky is the limit. A chatbot will be as strong as the AI that is powering it, and with the digital brain of say IBM’s Watson, that could mean for a very powerful chatbot. Expect to utilize a bot personal assistant to help organize your day, set reminders, send out emails or messages, search databases, encourage collaboration, or even host meetings right in your collaboration app. AI powered chatbots are coming soon, and will be an interesting twist to the way we get work done. 2016 was dubbed to be the year of virtual reality, or at least the year that virtual reality became an actual reality. We now have the technology to truly power virtual reality at a usable level, and while this has started in the entertainment industry, we will seen examples of the technology make their way into the work world as well. Or rather, we might begin to see Augmented Reality creep its way in – and we have already started to. Augmented reality is the idea of connecting the physical and digital world, much like the internet of things, and is the younger brother to virtual reality. With virtual reality, our experience is that of a new world constructed for us, but with augmented reality our experience is that of connecting our physical world with a virtual one. An example of how AR will make its way into the business I wrote about previously was one of an offshore oil rig. A technician on the oil rig looking to repair a complex piece of machinery could wear AR goggles that would connect with remote experts that are on mainland – right inside your chat app. This example was actually presented by Cisco at Cisco Live! and of course the example focused on Spark, which was already allowing video conferencing from around the world. Through the AR goggles, the experts on shore can see what the remote worker in the middle of the ocean sees, and instead of struggling to describe “oh just take apart that piping on the right side above the converter,” the expert could simply circle the item on their screen, which would then be displayed on the technician’s goggles overlaying the physical world, he would directly see what they circled. This is just one obvious example, but the use cases of AR could be incredibly beneficial, and one we will see expand even further in the year to come. I previously wrote about how 2017 will be the year of the omni-channel experience, in which I discussed what an omni-channel experience actually is, as well as some examples and how a company might deliver such an experience. This was also a concept introduced to me by Vonage CEO Alan Masarek, in which he explained the next step would be to bridge the gaps we currently have in our software, much like integrations. In fact, APIs again would be powering this next trend and allowing us to make it all possible. But to take things back to omni-channel, in this case the focus is more on the operations side of the experience. As I explained, Apple in their stores have created a tool set for their employees to utilize, but one that in the end creates a better experience for their customers – utilizing iPads as one stop resource for all customer information. Well, as Alan had explained, we can bridge the gaps that currently exist between employee communications and customer communications. 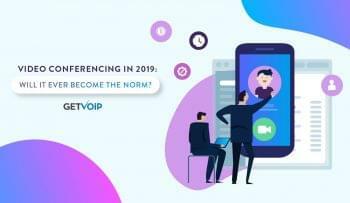 The traditional UCaaS and CpaaS approach will be married, previously they were two different islands of technology but now that we have normalized all IP and cloud based communications, add in the API and delivery of these functions and you get a completely connected system. As business technology has grown, we have moved away from these islands of separate technologies. Since everything is normalized we can take advantage to integrate everything together, in this case specifically internal and external communications. This could provide an increase in connectivity, less points of contact or “hoops to jump through” for customers, improving the customer experience and the ultimately bottom line of your business. A happy customer is a returning customer. For the Enterprise, the ability to host the solution on premise is absolute key to ensure the highest level of security in their system. HipChat makes this possible, as do a few others, but even Slack is lagging behind here on this. We have seen some alternatives popping up with specifically security in mind, but again this does not yet seem to be a completely agreed upon standard, and some platforms could probably do better with some tighter security, even Slack. In 2017 we will see the deployment of more security focused apps, and hopefully existing players will tighten up the defenses already in place. Expect higher levels of encryption, and hopefully to the point of Spark where Cisco is not even able to read your messages. No matter how you look at it, 2017 will of course bring even greater levels of innovation to the business technology we already use, and other technology just waiting to be implemented. As the cloud network that powers our daily work grows and expands, we are building a constantly evolving web of applications and tools to enable collaboration at new levels. Work will no longer, in fact already is no longer, confined to the office with the digital world growing more connected to our physical. Virtual and Augmented reality are some really promising fields expected to explode into massive industries, and machine learning will power some truly impressive tools. We expect team collaboration to look a whole lot different in 2017 if the industry’s innovation continues on its current path.